Cut for a relaxed, loose fit. Buttonsafe technology uses special heat fused buttons that won't fall off. 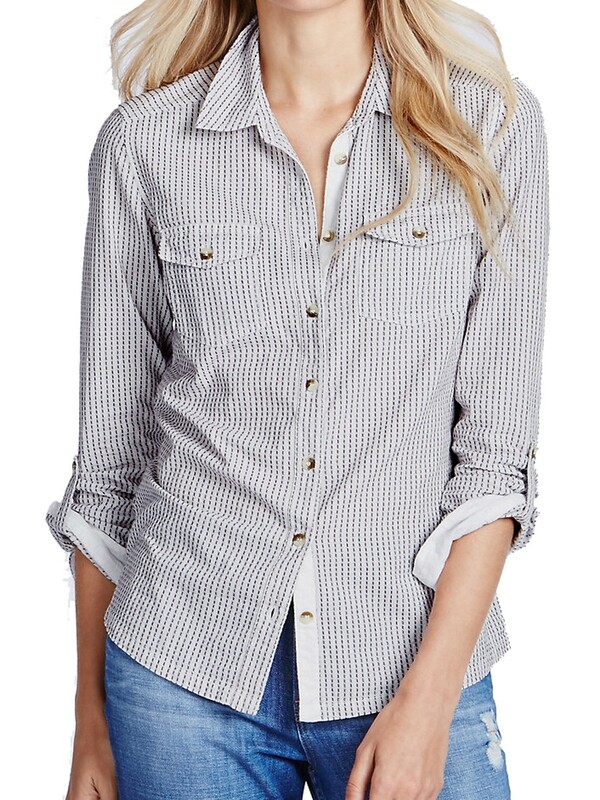 Collared neck, button through and long sleeves with button tab detail. Two breast pockets with button closure.